When we bought our house back in the fall of 2010, we had no idea what we were doing. It was definitely our favorite house we'd seen and we fell in love with the space when we walked in, but there were hidden gems about this house that we didn't discover until having children! While there are a few features in our home that aren't extremely functional, most things are. Our home layout works great for a family with 2 small children. 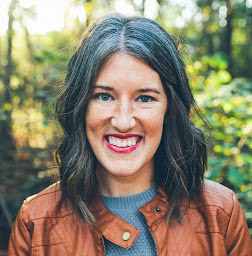 Today is the Babywise Friendly Blog Network's Pinterest Day. (If you haven't followed us on Pinterest yet, you should!) 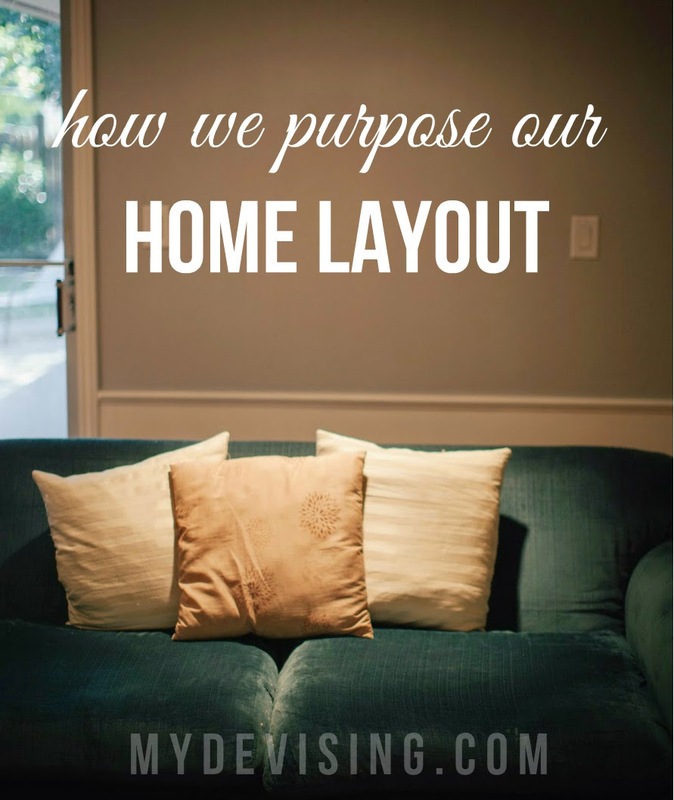 Our topic is intentionality and purpose in home layout and function. Here's a broad look at some aspects/rules of our home that are purposeful and make our lives easier. Our home is long rather than deep. The dining room, kitchen, and living room are all on one side, music room is in the middle, and the bedrooms and guest bathroom are down the hall. It's so great to put the kids down for naps or bed knowing that the noise/talking/TV watching in the other part of the house won't wake them. If/When we move later on in life, this will definitely be something I look for. I really like having all of the rooms together and next to each other. It's nice to know that if our kids ever do need us in the night, we can hear them without needing a monitor. As far as layout goes for discipline in our home, we have 2 designated time out spots. One is in the entry way by the front door and the other is in our kitchen by the door leading to the garage. Both spots are pretty much out of sight from the living room so there's no feeling of still being "in on the fun" when you're in time out. Once upon a time, all of our toys were in a small bucket in our living room. That bucket grew into 2 buckets. Then it turned into 2 buckets and a shelf on our bookshelf. And so on. Before Nova came, we decided all of the toys needed to stay in Duke's room and he could bring whatever he wanted to play with at that time into the living room. Thus, the "one bin" rule was born. The "one bin" is always the same bin these days - cars, airplanes, and trains. That bin basically lives in our living room. But the point is that all of the toys stay in his room so the living room only sees a fraction of toys each day. If there are specific purposes and intentions in your home layout/rules, I'd love to hear them! ****Also, congrats to Rebekah Lewis! You won a copy of our lullaby album from the giveaway on Emily's blog! Please email me at thenightnights(at)gmail.com to claim your prize! I don't know that I would have ever considered those things, but this is a great list of things to consider in a house!